Dreadnoughtus VR is now available for viewing on JauntVR! The finished project has been accepted by JauntVR’s cinematic VR portal site. Now you can view the whole documentary on any desktop or device supported by JauntVR. Click here to watch. Valentina is a freelance animator and digital media graduate student based in Philadelphia, PA. As a producer of animations, visual effects, video games, and everything in between, she loves working on ambitious digital media projects with passionate, creative people. 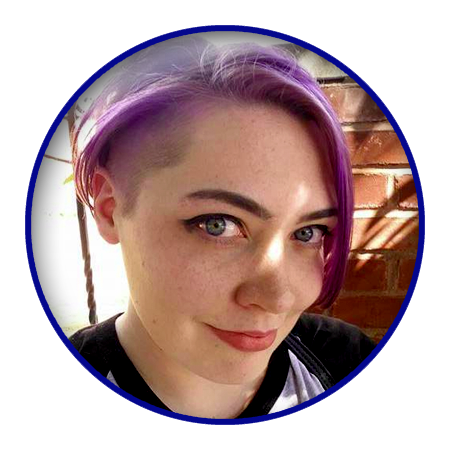 Considering herself a 3D generalist with a focus in lighting, rendering, compositing, and production management, she earned her BS in Animation & VFX from Drexel University in 2015 with the completion of an animated adaptation of H. P. Lovecraft’s “At the Mountains of Madness.” capstone project. 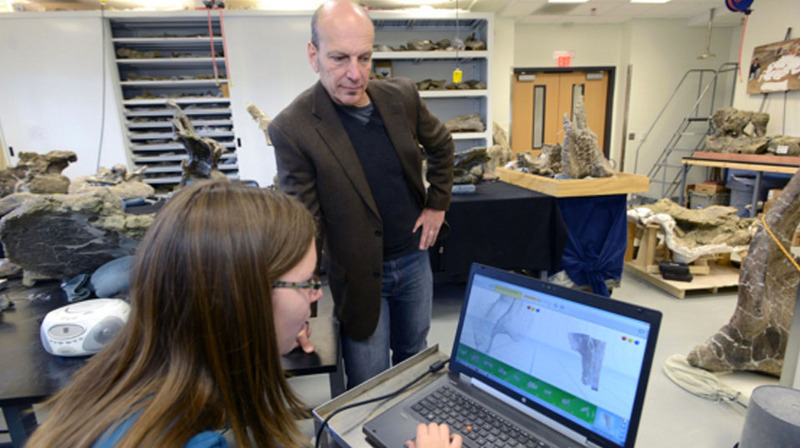 She is currently studying how translating the conventions of film language to 360-degree “virtual reality” video affects both scale visualization and viewer engagement in a documentary experience through the creation an immersive paleoart experience about Dreadnoughtus schrani, a gigantic sauropod dinosaur and one of the largest land-animals to ever live. 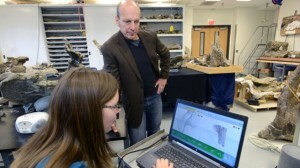 Paleontologist Dr. Kenneth Lacovara reviews digital 3D scans of Dreadnaughtus with student Anna Jaworski. While researching scale within the the context of conventional cinematography — achieved through camera angles, frame composition, careful lens choices and selective editing — it becomes apparent that this language is absent in the emerging medium of spherical cinema. While VR device ownership is on the rise, interactive spherical videos are becoming more accessible than ever. 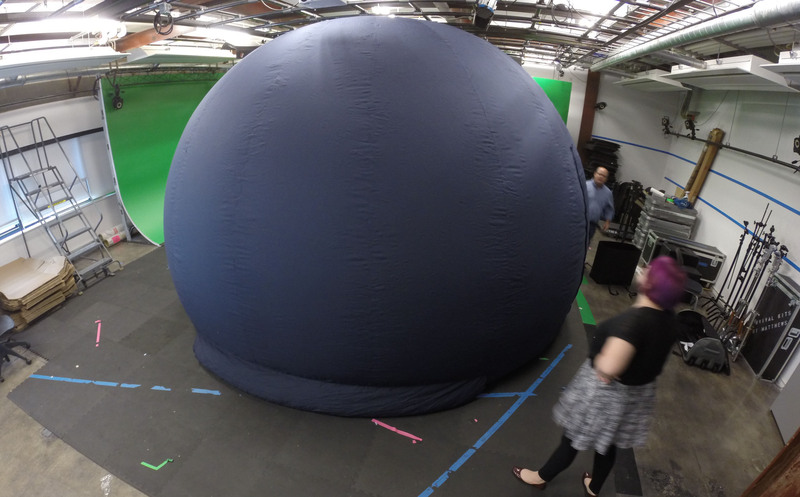 Facebook now allows users to share 360-degree videos, which use a smartphone’s accelerometer to control the POV within a dome-shaped video scene. 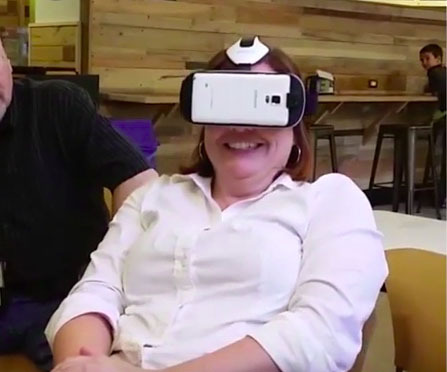 360-degree YouTube videos can also be viewed through the lens of Mobile VR devices like Google Cardboard, conveying an unprecedented level of accessible immersion to an audience of social media users. Jennifer Sontchi, Director of Exhibits at Drexel’s Academy of Natural Sciences, experiences her first encounter with a VR dinosaur. 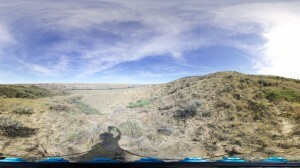 360° Spherical panorama shot in Montana by Drexel Paleontology student Emma Fowler. 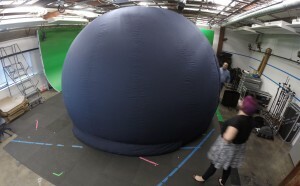 Drexel ACE-Lab’s 16-foot diameter, immersive dome projection screen deployed in our main Urban 246 studio. Presence in realtime media implies a “feedback loop” between the player and the experience, which makes the player feel like they affect their surroundings. The limitations of cinematic VR restrict interactivity, but generally allow for higher graphics quality to be rendered. For some purposes(architectural visualization, for example), real-time rendering engines can achieve photorealism that rivals rendered CG. It’s easier to render “things” than “creatures,” though, and the Dreadnoughtus rig will include softbody muscle simulations that are much harder to achieve with a realtime engine. Rendering this project as an immersive video also dramatically extends its reach, allowing it to be shared via Facebook, YouTube, and Mobile VR, and (potentially) educational programs like Google Expeditions.